By now we have all become familiar with the suspected wine fraud that is the case of Labouré-Roi selling bottles of wine that were passed off for something they were not. Indeed, the situation has become such a concern for producers in the region that the Burgundy Wine Board has joined the investigation as a civil party to gain access to the fraud office’s files in the matter. This is so it can do an analysis of its own and determine how much the debacle has damaged its members’ reputations. 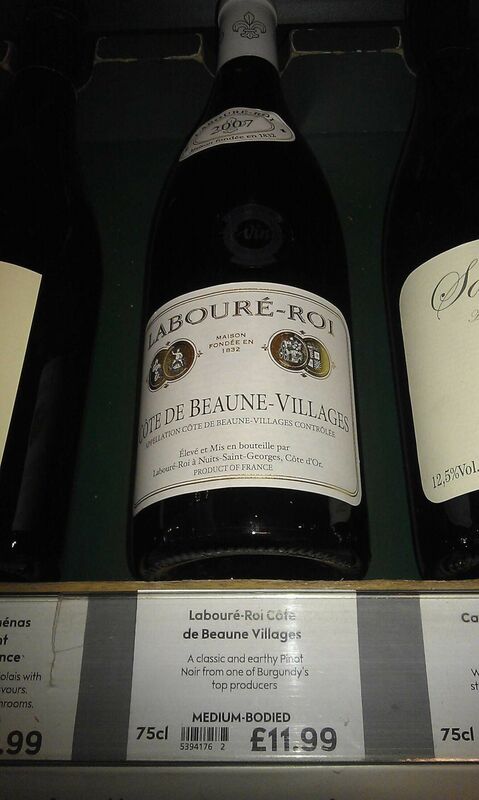 This past weekend while I was browsing the wine section in Waitrose, it wasn’t long before I stumbled across a bottle of Labouré-Roi, on this occasion a Cote de Beaune-Villages 2007. Knowing the Labouré-Roi affair covered all levels of wine, ranging from village wines all the way up to Grand Cru betwen 2005 and 2009, as reported on Decanter.com, the alarm bells started ringing in my head. While I was tempted to buy this bottle just to see what it might be like and maybe even try to find a way to determine if it was one of those affected by the alleged fraud, the truth is I really didn’t want to touch it with a barge pole. However, via direct message on Twitter Waitrose told me their wines go through a rigorous quality control process and none of the wines they are selling have been affected by the timeline of the fraud, so shoppers should feel confident when making decisions.